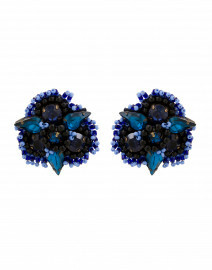 Statement earrings are an easy way to bring a modern slant to simple looks. 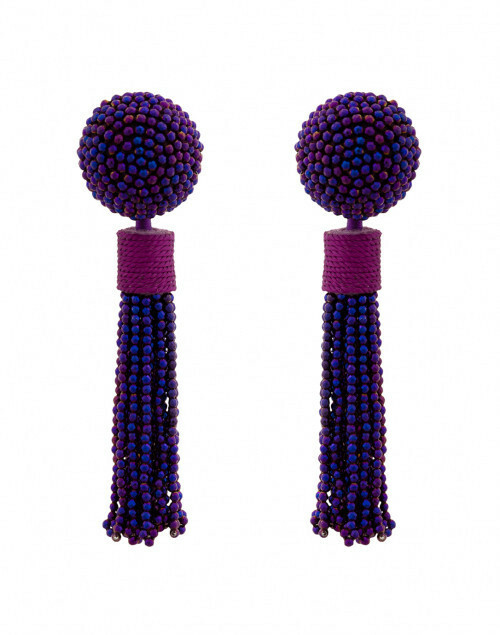 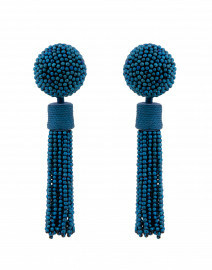 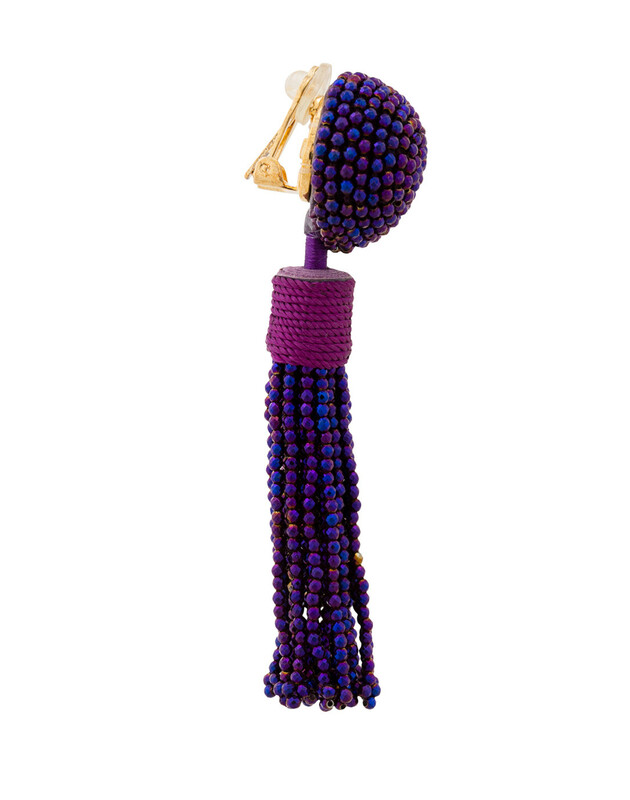 This elegant purple pair is handmade from silk thread, glass beads and has a leather backing finish. 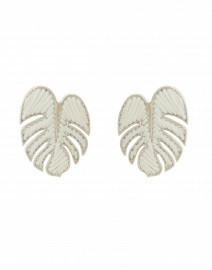 Pair it with a simple evening dress for a chic evening ensemble.